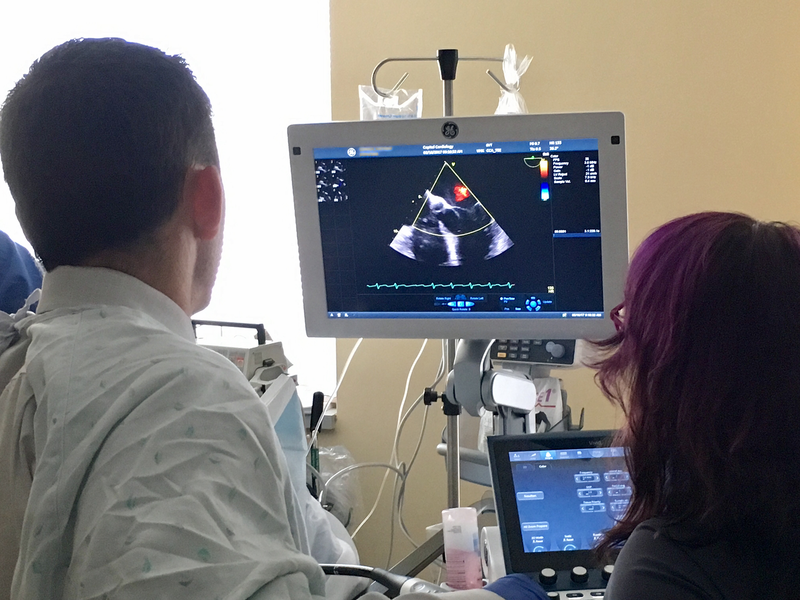 Cardiac patients in the Capital Region now have a choice on where to receive their transesophageal echocardiography (TEE) test. 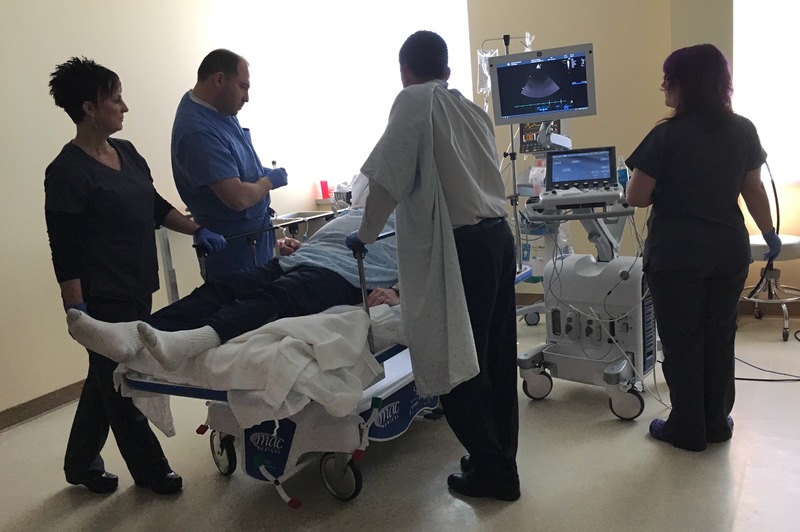 Capital Cardiology Associates opened our TEE Cardioversion Suite on Tuesday, May 16, 2017. “We could not find any evidence that anyone else is doing this. 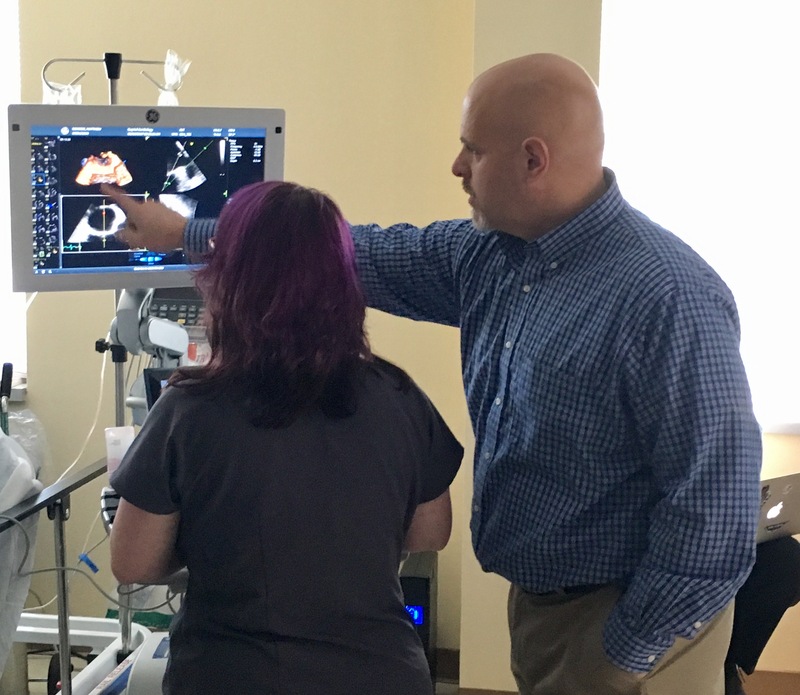 The suite is the first of its kind in New York State,” announced Capital Cardiology Associates board-certified cardiac physician, Dr. Lance E. Sullenberger. The suite allows patients to receive the same specialized outpatient procedure usually performed at a hospital in a custom suite at CCA with their physician attending. During the procedure, physicians, nurses and specialized staff observe your heart’s structure and function. Special attention is placed on the upper and lower chambers of the heart, the heart valves, and blood flow. After a stroke, this procedure is used to look for blood clots in the chambers of your heart as well as examination of of the heart after recent surgery. CCA patients also benefit from additional comforts that ease stress on the day of treatment. Not having to find a parking spot in a garage or walk a long distance to the building is a plus. There is also the familiarity with the staff that treats them for their regular appointments and visits. Dr. Sullenberger has a special interest in cardiac imaging, particularly CT coronary angiography, as well as in cardiovascular disease prevention. 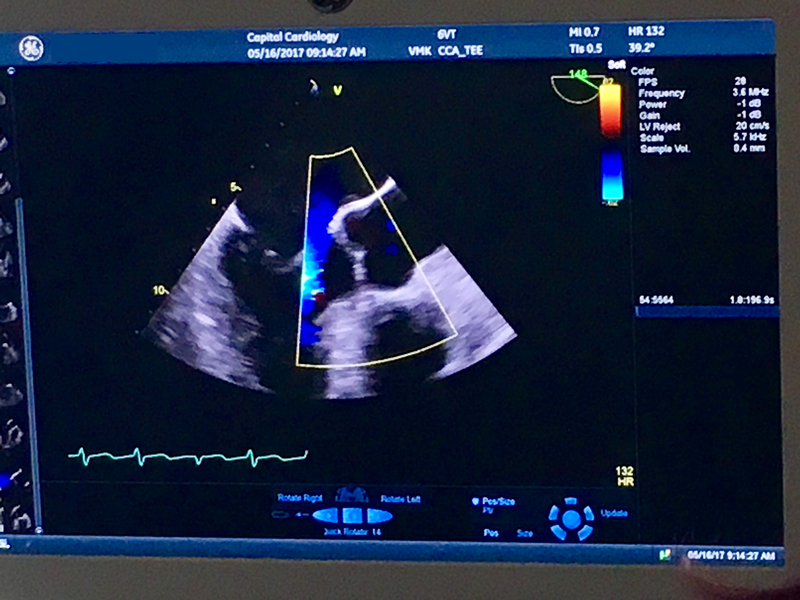 “At CCA, there is a board certified cardiac anesthesiologist present for our TEE scan. We use the latest technology in the hands of staff that specialize in this level of care and advanced medicine,” added Dr. Sullenberger. In the procedure I observed, the patient commented on the level of care he received. The care is unbelievable here. I’ve never had to use medical care since my heart condition was detected. I tell everybody the care in this area is amazing, just amazing. Capital Cardiology Associates TEE/Cardioversion Suite is located on the 4th floor of our Corporate Woods, Albany location. Talk with your doctor to schedule an appointment or receive a referral for treatment. Written by: Michael Arce, Social Media Specialist, Capital Cardiology Associates. Photo credit: Michael Arce, CCA.